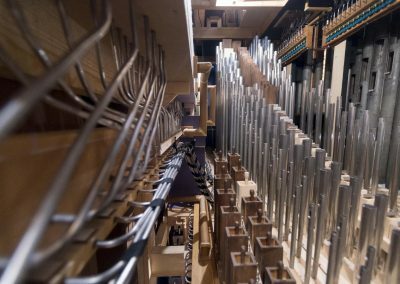 Voit & Söhne 1907 – Klais Orgelbau & AerisOrgona 2018. 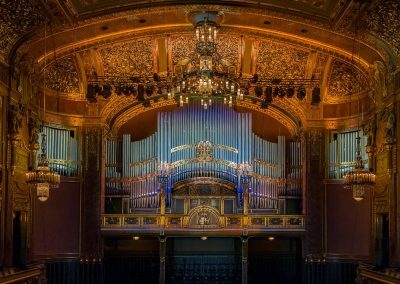 On 21 August, 1905, the German Voit & Söhne organ building company was contractually commissioned by the Liszt Academy to build a four-manual, 74-stop pipe organ. The roughly 23-ton heavy cargo was delivered by rail to Budapest. 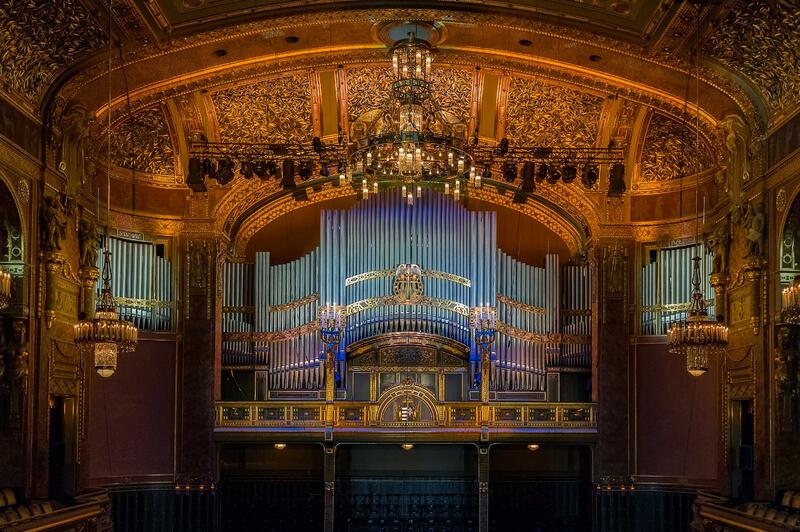 Voit was one of the most prominent organ builders of his period specializing mainly in concert hall organs, and with his revolutionary and state-of-the-art technology, he won the opportunity to build an organ also for the Liszt Academy in Budapest. His instruments followed the sound ideal of the symphony orchestra, with an excessively wide scope of tone colours ranging from pianissimo to fortissimo, reproduced now – thanks to the technological achievements – with an ease that had been unimaginable for any organist. The instrument was first played by Dezső Antalffy-Zsiross on 15 May, 1907, who performed Franz Liszt’s Prelude and Fugue on B-A-C-H in his own rearrangement. 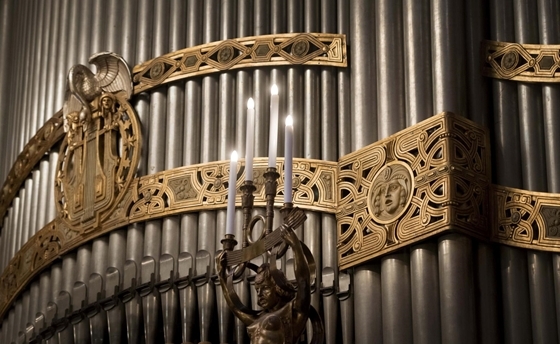 Between 1907 and 1925, the instrument energised the entire organ scene in Hungary allowing such renowned organists to play it as Karl Straube, the organist of the St Thomas Church in Leipzig or Alexandre Guilmant, the director of the Conservatoire de Paris or Enrico Bossi, one of the greatest organ-virtuosos of his time. 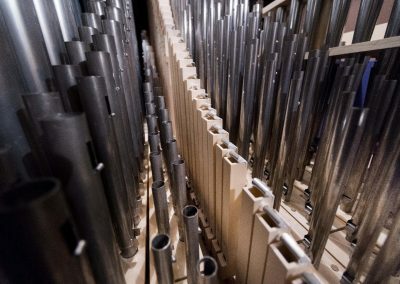 Several rebuilts were carried out during the 20 th century in order to adapt the organ to the changing tastes of the time, therefore the original artistic conception was more and more lost from the sounding. 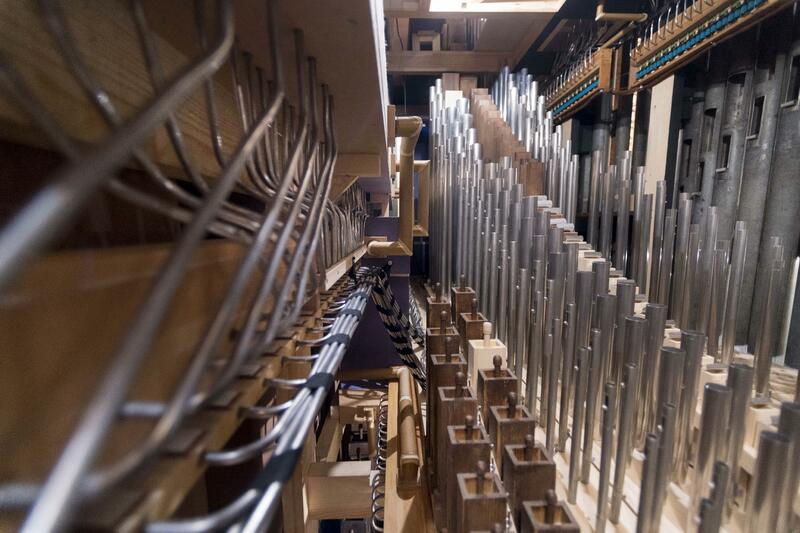 Walcker built a new organ in 1967 behind the historic Voit façade; many parts of the Voit organ were used in various other organs. 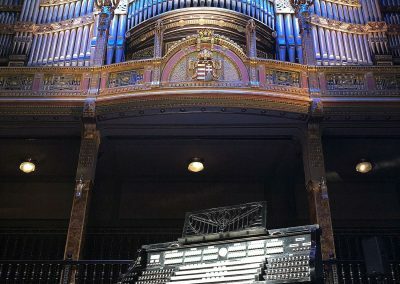 After the Walcker organ of 1967 had been dismantled in connection with the thorough restoration of the building, so it was obvious that the original Voit-organ from 1907 needed to be reconstructed. In an international public procurement process, the Johannes Klais Orgelbau GmbH&Co. KG from Germany won the contract, and we were able to take part in this wonderful and exciting project as their partner. 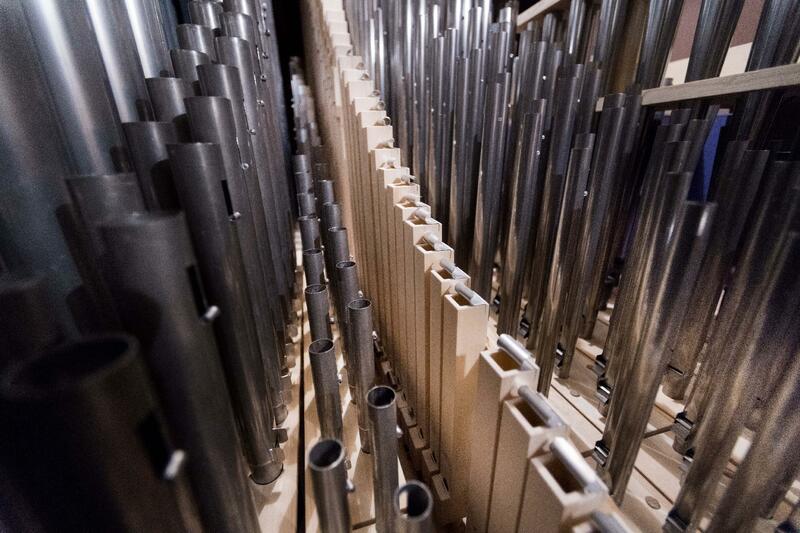 The detailed reconstruction plan was developed in close cooperation with the competent authorities of the University and the organ consultant and organist Balázs Szabó. This is the very first reconstruction project in the world, in which not only the sound and technical parameters but also an early electric action has been reconstructed with complete authenticity in every part and detail. At the same time, independently of the former system, some of the most cutting edge features of organ building technology also come to show, such as the embedded Setzer combination, a computer-based system which facilitates the management of the stop combinations. 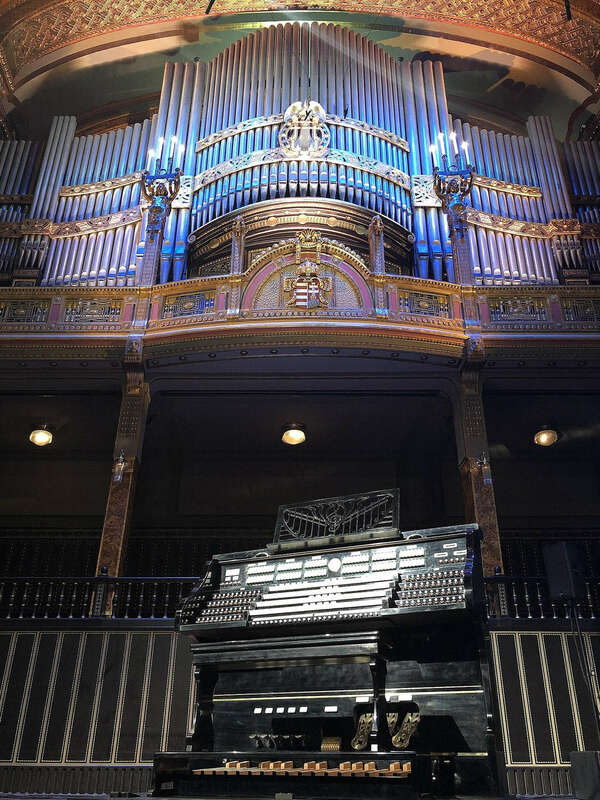 With the Voit-organ, not only the Liszt Academy, music education in general but also Hungary as a country is enriched with a globally unparalleled organ treasure. 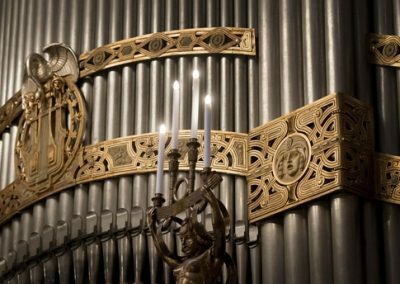 After ten years of hard work and effort, the organ which has just been reborn like a phoenix from the ashes, is the most beautiful jewel of the Great Hall.